“The Basque Country and Basque Technological Companies” has been the main topic of the presentation organised recently by the delegation of SPRI-Basque Business Development Agency to the Czech Republic and Slovakia. During the presentation, Head of Delegation Tomas Buchtele highlighted the main industrial trade shows that take place at Bilbao Exhibition Centre – BIEMH, Machine-Tool International Exhibition; Ferroforma, International Hardware, DIY and Industrial Supplies Fair; and Subcontratación, International Fair of Manufacturing Processes and Equipment – and the opportunities that they offer companies in the region as business and knowledge transfer hubs. 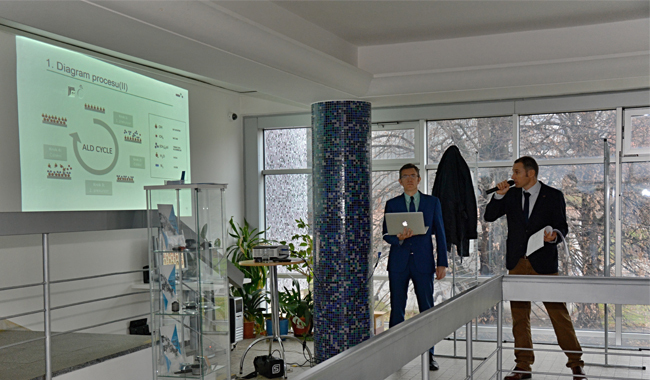 An exhibition with information panels, printed materials and a video projection, which will remain at the university until the 19th December, completed the event in which about 30 people took part, including businesspeople, scientists and students. The presentation took place at the Machinery Institute at the Czech Technical University ČVUT (www.cvut.cz/en/history), one of the oldest and largest colleges in Europe. Founded in 1707, it has 21,000 students and renowned research centres in the fields of machinery, nuclear energy, biomedicine, robotics and electronics. In May this year the SPRI delegation organised a similar event to promote the BIEMH, which was very well attended.